Nearly everyone has heard of the world-famous Grand Canyon located in Arizona in the United States. With around 1,600 m / 5,250 ft. deep it attracts more than four million visitors each year. But there are more fascinating canyons in the world, among them the impressive Colca Canyon in Peru. It is the third most popular destination in this beautiful country, with reason. 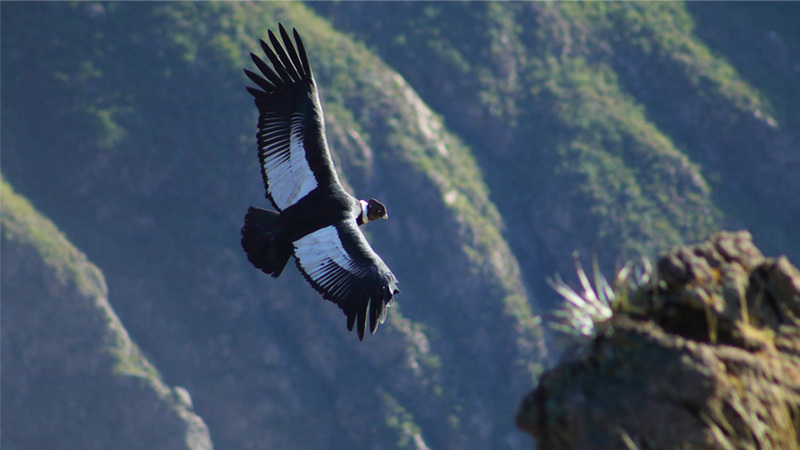 It is not only considered the deepest canyon in the world with 4,160 m / 13,650 ft. (measured from the lowest to the highest point which is a volcano, though), but also home to the largest flying bird in the world, the Andean Condor. 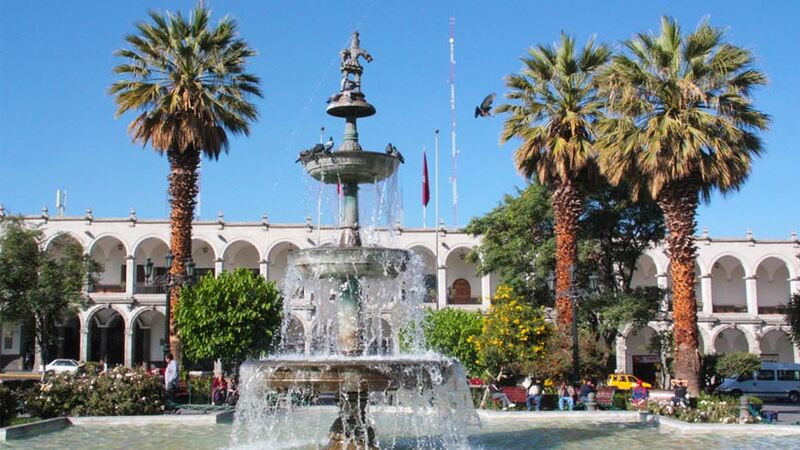 The Main Square, also known as “Plaza de Armas”, of Arequipa is truly beautiful. The fountain surrounded by palm trees and benches is a very popular place among visitors and locals. 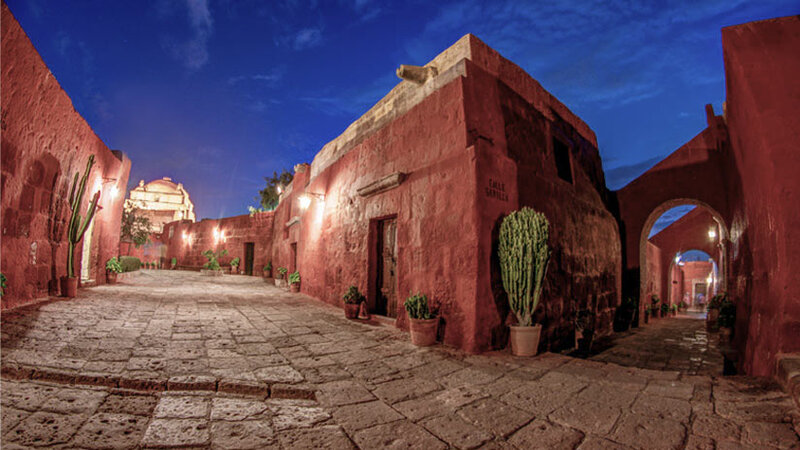 From there you can admire the stunning colonial churches and volcanoes that surround Arequipa. The city’s largest and most important church is the Cathedral, an impressive building of the 17th century stretching over the entire length of the plaza. Only a few steps from the main square lies the colorful Monasterio de Santa Catalina. It is basically a town within town with its own flair. It offers a fascinating insight into the life of the nuns in the 16th century. Plenty of rooms recreate the ancient dormitories, chapels, kitchens etc. You should definitely not miss out on it. 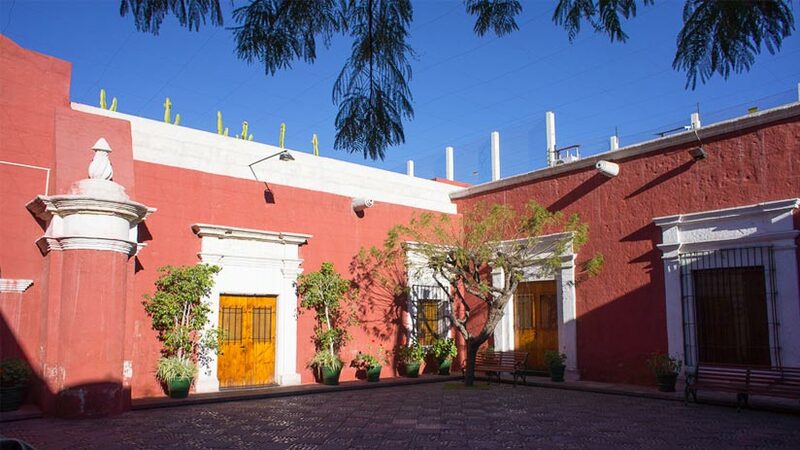 This museum famous for Juanita, a 12-year old Inca girl that was sacrificed in the mid-15th century and found by anthropologist Johan Reinhard in 1995 during an expedition to the Mount Ampato. Tours are offered in Spanish, English and French where you can see the Juanita mummy in a class cabinet as well as a lot of findings of the Inca culture in this region. 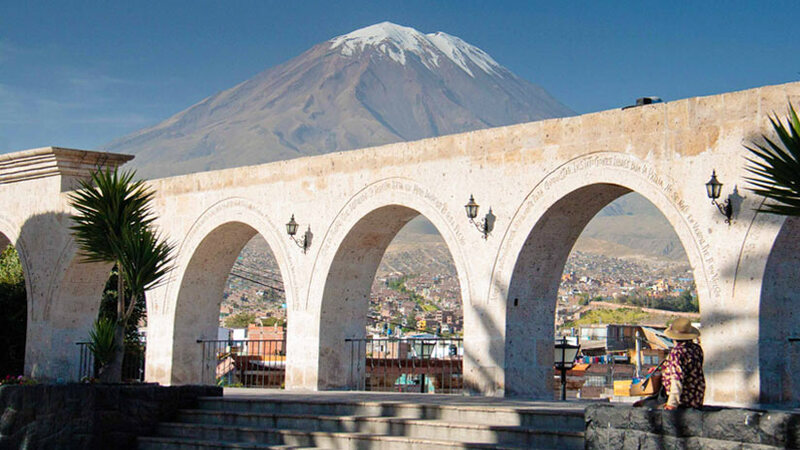 Yanahuara is a district of Arequipa that offers a different perspective of the city. From the lovely plaza you will have amazing views of the majestic ice-capped volcanoes surrounding the city. The mix of elegant archways and colonial churches is unique and incredibly beautiful. You can get there walking in around 30 minutes or take a taxi and you will be there in only 10 minutes. 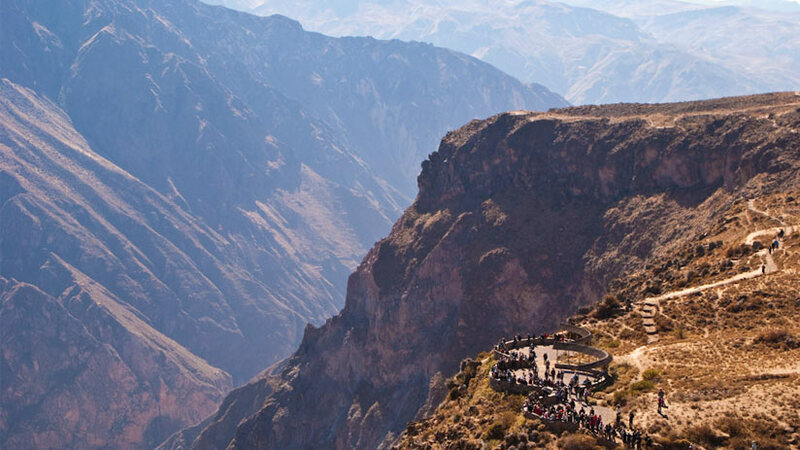 The Colca Canyon is around 160 km and a 3-and-a-half-hour drive away from Arequipa. Almost every travel agency around the main square and sometimes hostels / hotels offer tours there, they usually start pretty early at around 3 AM. However, the best time to spot condors at the “Cruz del Condor”, a viewpoint along the way, is at approximately 8 AM which makes it necessary to start your day trip very early. Please note that there is always the possibility to not see any condors at all. The first stop is normally the little town of Chivay where you can find the La Calera hot springs. If you are looking for adventure travel Peru, you might want to consider rubber rafting in the Majes River or a Colca Canyon trek! There are full-day tours for rafting in the Majes River that you can book in advance or you may find lodgings at the river banks that offer the necessary equipment as well as an experienced guide. The first part is quite tranquil while it gets more exciting as you are descending the river. Tours usually take a few hours. For hiking the Colca Canyon it is important to be well-acclimatized as you will walk in high altitude. Take two or three days before starting this tour. Starting point is in Cabanaconde in the Colca Valley, around 6 hours from Arequipa. During this trek you will usually visit the viewing platform “Cruz del Condor”, make sure to ask your travel agent to not miss out on this opportunity. Tours end in Arequipa in the late afternoon. 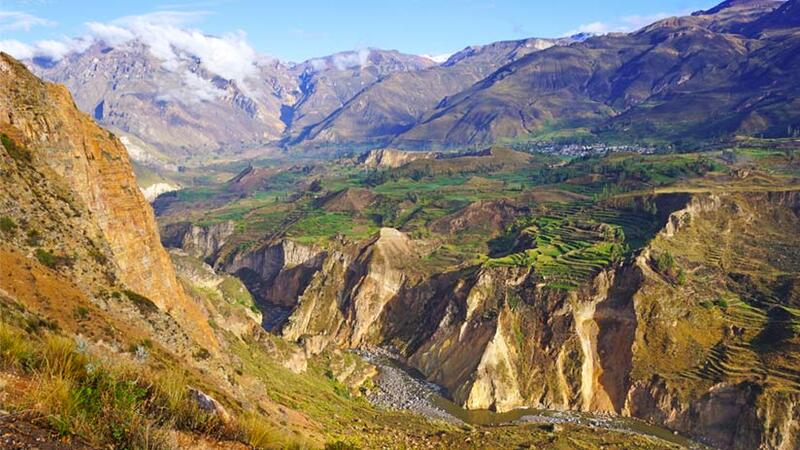 The best time to visit Colca Canyon would be between March and June as the condors are more active during this time of the year and the trails are in their best condition. Days are sunny but nights can be chilly, at this altitude no surprise, though. Make sure to be prepared for hot and cold weather. It is possible to do the trek on your own but it is highly recommendable to go with an experienced guide, not only for more information but also for choosing the correct and best route. Peru Activities, Travel To Peru adventure, arequipa, treks, visit peru. permalink.